Welcome! Buon Giorno! Konnichiwa! 你好! привет! Bonjour! こんにちは ! Cia0! nǐ hǎo! Γειά σου! Hola! -Prevents sagging and prevents a sloppy sag. Keeps bag in proper form. -Liner goes inside your bag and only weighs a few ounces. -Hand Cut and flame-polished corners. Smooth edges. 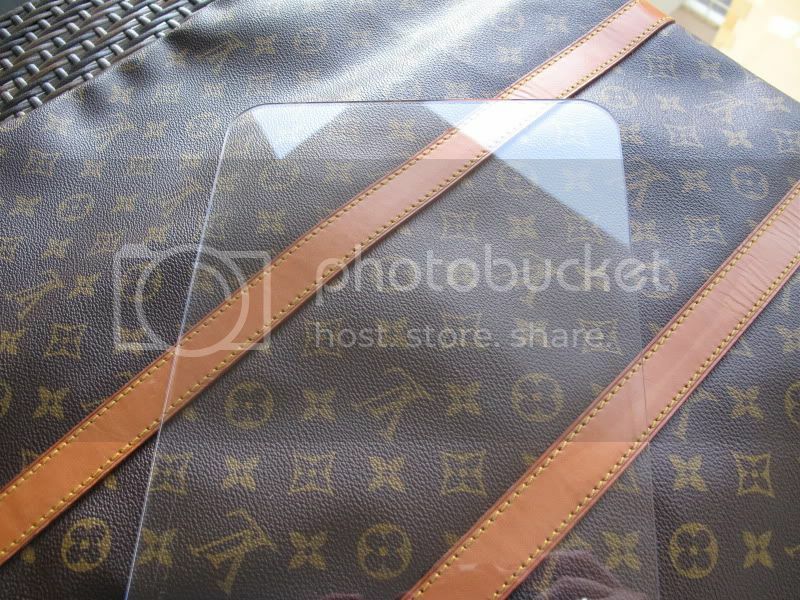 -Crystal-clear zytel polymer displays the original interior of your bag. 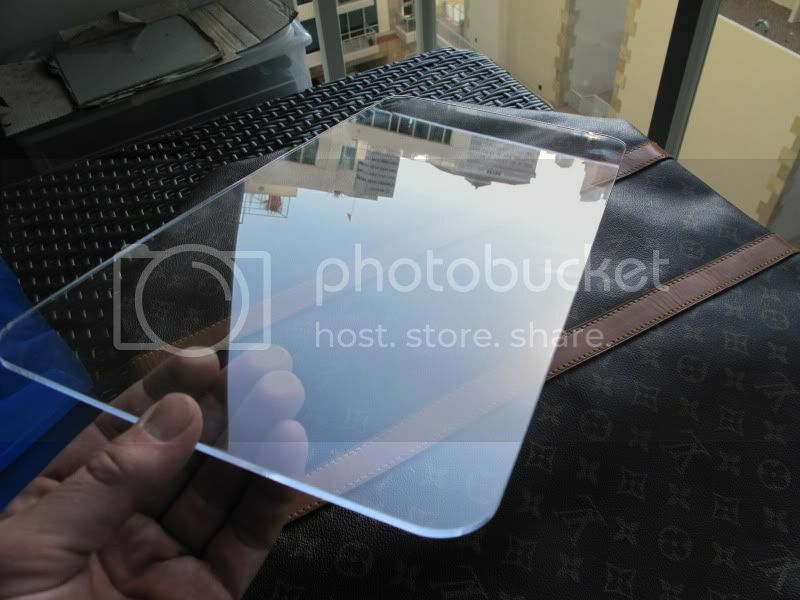 -Made from same material as 'Bullet Proof' glass. -Not made of imitation leather (Would you really want 'imitation' anything in your Louis? Do not be like Kate with her sloppy Keepall. Get a Princess Cut Base Shaper and you will look better than Kate. Trust our Five Star Rating! A Princess Cut base-shaper is your Louis Vuitton Bag's best friend for looking crisp and new! Competitors sell for $44.99. We are offering superior quality for only $27.00. That is over a 39% savings and we only charge $6 for shipping. ©2011 Princess Cut Handbags & www.BaseShaperStore.com. All rights reserved. 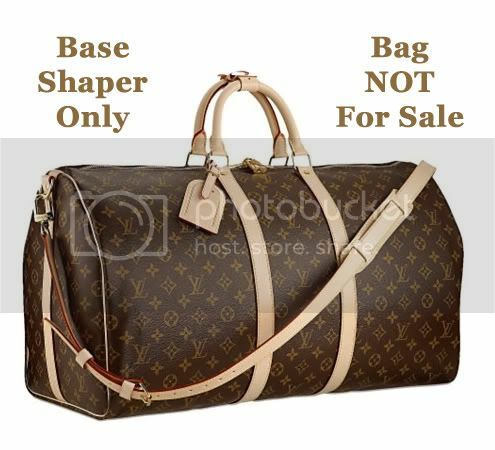 Louis Vuitton, LV Monogram, Damier, Speedy 25, Speedy 30, speedy 35, speedy 40, Neverfull MM, Neverfull GM, Keepall 45, Keepall 55, and Keepall 60 are trademarks of Louis Vuitton and are not associated with BaseShaperStore.com or Princess Cut Base Shapers. 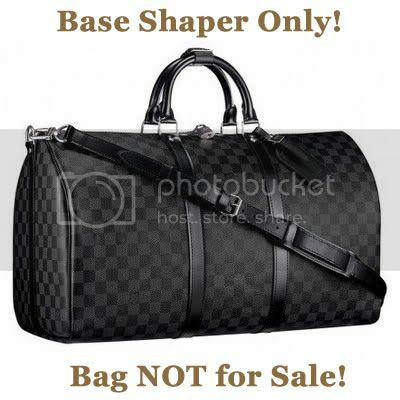 Base Shaper Store only sells the Shaper, not the Louis Vuitton Purse. Thanks for looking.